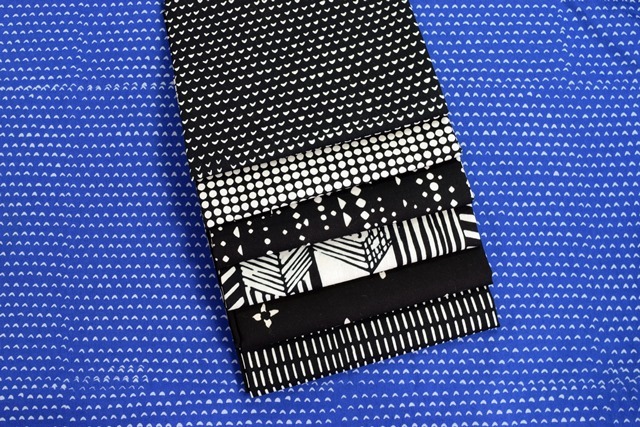 Even before I knew about the Me + You Virtual Fabric Challenge sponsored by Sewtopia and Hoffman Fabrics, I had already purchased two of the five black and white prints along with the blue lapis print pictured here. I just love the irregularities in the fabric created by hand stamping the fabric with the wax resists and then dyeing. And another picture of the five fat quarters received for the Sewtopia virtual fabric challenge. This Indah solid in chartreuse is another one I had originally ordered. Here it is pictured with the purple mini charms from the mini charm jar received in my Sewtopia swag bag. I liked this color combination but was not sure what I would do with the fabric. To be certain I had enough fabric, I ordered a couple of prints from Alewives Fabrics in Maine. 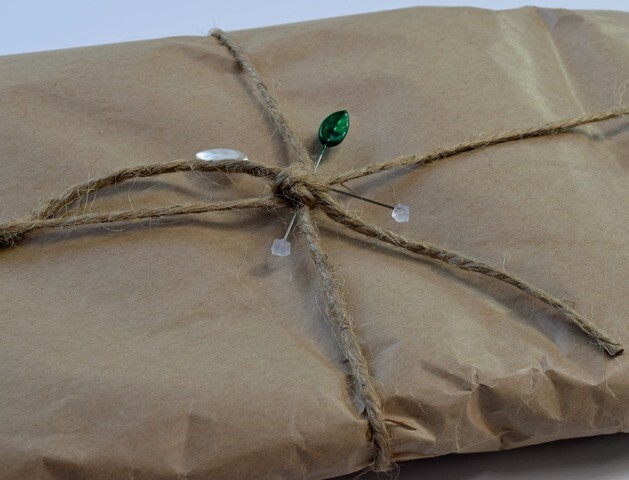 I love their rustic packaging with the twine and pearlized pins. Now I had to decide what to make from the challenge fabric. I decided to add two purple prints to the mostly black prints and pair them with three different chartreuse prints. I decided to revisit Denyse Schmidt's Freewheeling Single Girl pattern. I made one block in Deynse's class while at Sewtopia in Atlanta in April. Here are the three blocks completed so far. I plan to make one more block and add a 10" border all the way around, bringing the size to around 60" square. After squaring up the blocks, they measure 22 1/2" unfinished. I came the realization I could not finish the quilt without rushing through it for the May 31st deadline. According to the rules, we can make anything from the challenge fabric, so I need a Plan B! 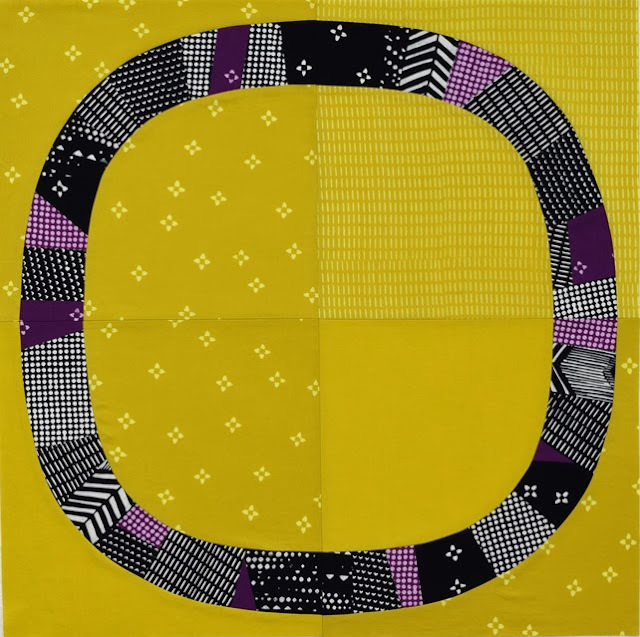 While I decide on Plan B, I am linking to Beth at Cooking up Quilts for Main Crush Monday. Those blocks are great! I love the color combination. Bright and fun. I admire your precision in piecing, Paige, and good luck completing Plan B by the 31st! I love the little pops of purple in there. I think they are just the thing! Great job! 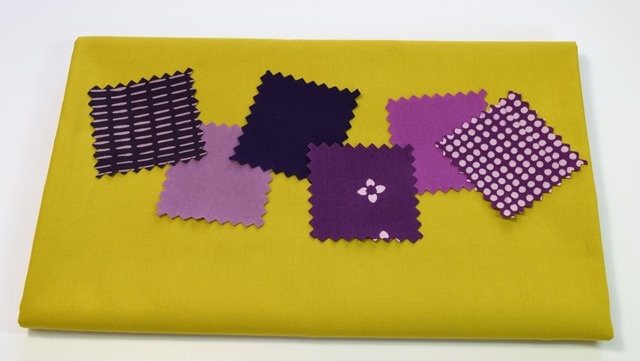 Your combination of purple and chartreuse is striking ! I can't wait to see what you will make with the beautiful lapis fabric. love the pops of purple in the rings. I love that Chartreuse back ground to your blocks. Very bold indeed. Chartreuse is one of my favorite colors! 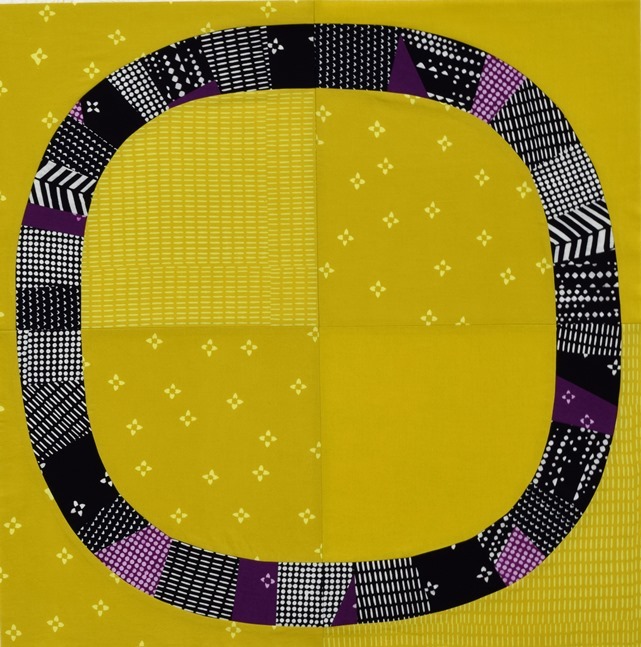 I love this block and the prints and colors you used are perfect. I have got to check out this pattern! It looks like so much fun to make. Your block made me squeal with happiness! 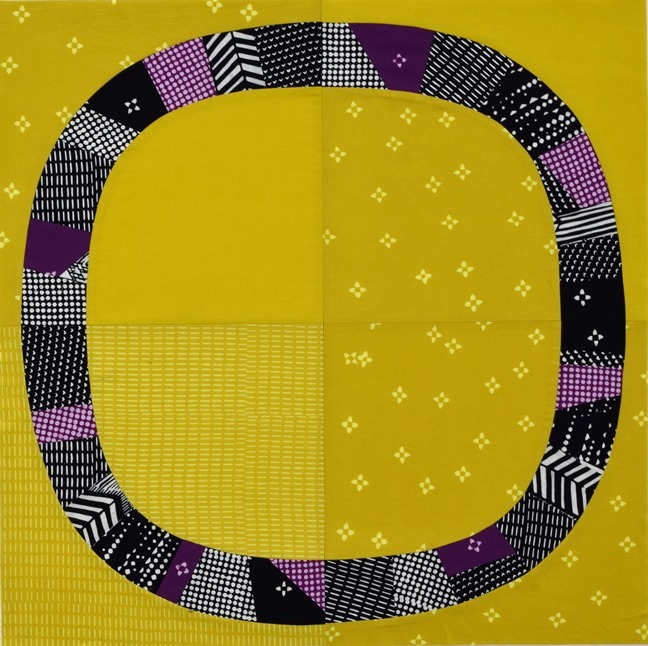 I love that bold chartreuse back ground with the black and purple prints. I'm sure plan B will be just as stunning. Love what you have created with this gorgeous fabric. The pop of purple really sets it off. I really like these blocks, and you got your non-white background you were hoping for! I can't wait to see the finished top. 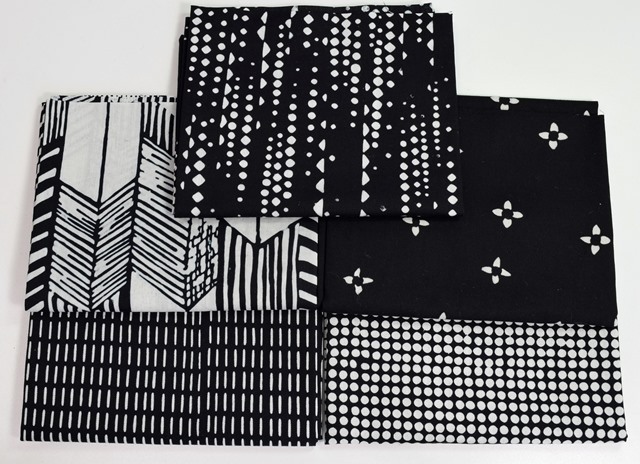 Those fabric prints are so different, they are wonderful! I like the Chartreuse background very much! I hope you will continue to work on the quilt. Can't wait to see what you made for the challenge. Yikes ... but you only had a few days to get the new piece done??? That packaging is darling. Who wants to open something that cute?